How do I sync grades to Infinite Campus in the New Gradebook? If your institution is using the Infinite Campus gradebook as a student information system (SIS), you can use the Canvas Gradebook to pass grades back to Infinite Campus. Grades are passed back if an assignment is specifically included as part of the grades transfer. You can include grades for assignments, graded discussions, and quizzes on a per-assignment basis. Infinite Campus does not validate any assignments in the Grades page as validations for assignment names and dates are part of the assignment setup process. Infinite Campus requires specific setup procedures to properly post grades for assignments. For details and troubleshooting tips, please view the Instructor Help: Canvas and Infinite Campus document in the Community. This integration requires prior configuration in Canvas. For assistance, please contact your Canvas admin. In Course Navigation, click the Grades link. 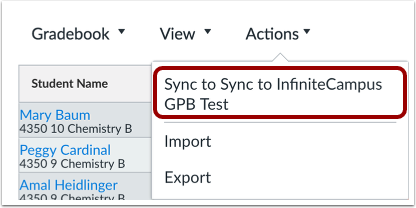 Click the Actions menu  and then click the Sync to Infinite Campus link . Click the Sync Now button. Confirm that your request was received to sync grades with Infinite Campus. 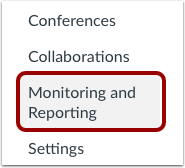 In Course Navigation, click the Monitoring and Reporting link. Note: Depending on when your SIS was implemented, the Monitoring and Reporting link may be named Grade Sync. The Sync Status page defaults to the Reporting tab, where you can view the status of the sync request. In the search field , you can search for a specific sync request by course, section, or user SIS ID. You can also filter by status. By default, the Everything status is selected, which displays all sync results in the page . You can filter syncs by Cancelled, Errors, Failed, In Progress, In Queue, and Success. Each status type displays the number of sync requests for each status . To filter by a specific status type, click the name of the status. 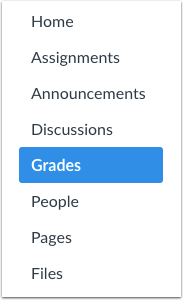 To manage grade passback options, click the Sync tab . To run a bulk grade passback for all grades in your course, click the Submit button . Running a bulk grade passback sends every grade in the gradebook to your SIS. This option can be used if you notice a discrepancy between your Canvas and Infinite Campus gradebooks. To schedule a sync to run daily, select the Scheduled Daily Sync checkbox . This option sends any new grades that were updated for assignments set to sync to SIS. To save your daily sync setting, click the Save button . Previous Topic:How do I sync grades to the legacy PowerTeacher gradebook in PowerSchool in the New Gradebook? 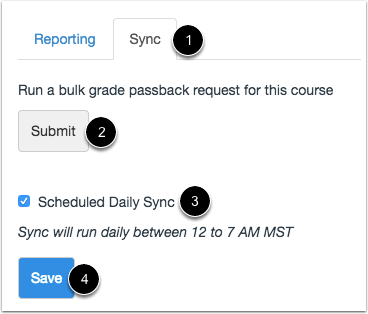 Next Topic:How do I sync grades to Skyward in the New Gradebook? Table of Contents > New Gradebook > How do I sync grades to Infinite Campus in the New Gradebook?